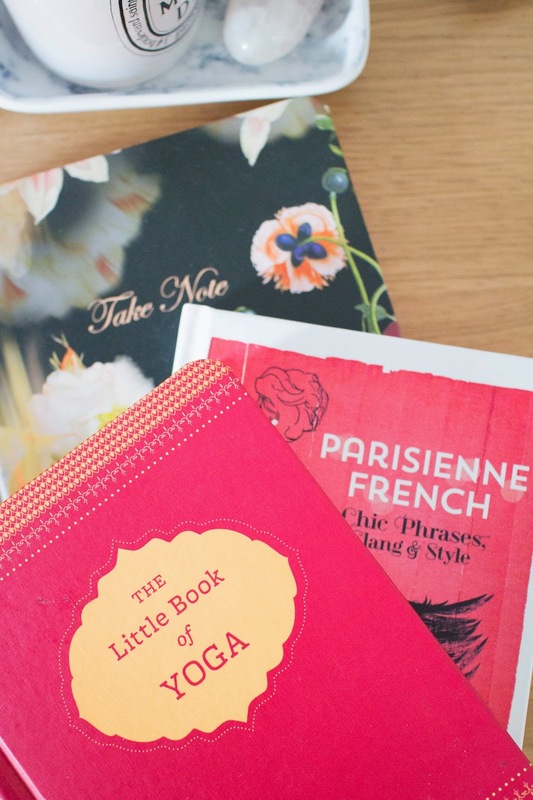 We spend a lot of time in bed (or I do anyway), and most of us have a bedside table. What we keep on our bedside table and close to us can say a lot about us and our personality even if you may not think so. Here, I'm allowing you to take a peek into something that could be seen as quite personal. I keep a lot of stuff on my bedside table and I have tried to declutter it as much as possible and keep it tidy. Sometimes clutter takes over, and I am in the mindset of "cluttered space, cluttered mind". It is when I am truly relaxed that I tidy up and de-clutter and create a zen like space. 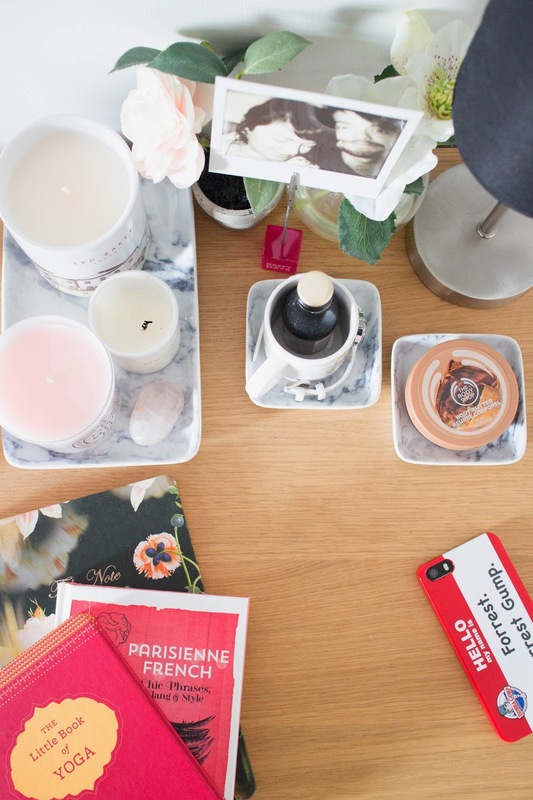 I recently some acquired some marble trays from H&M to help de clutter and create some kind of organisation to where I was placing items (You can pick some up here: H&M). The larger tray I picked up was perfect to house my mini candle collection I had going on and displayed all across my space. 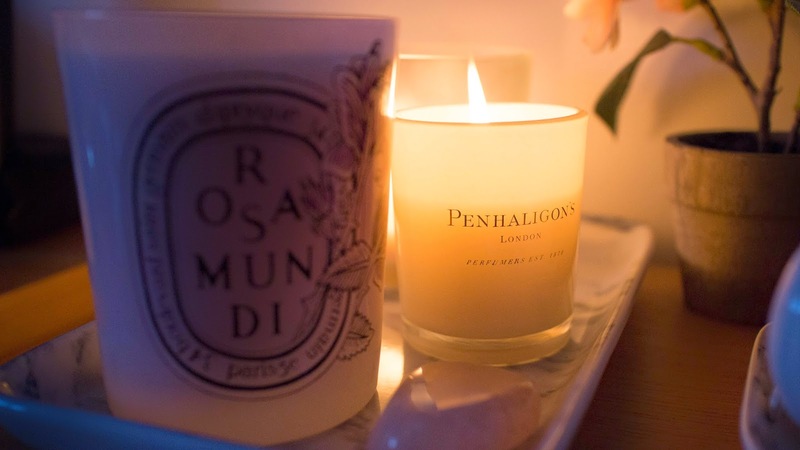 In case you are interested there is currently Diptyque's Rosamundi, a Penhaligon's Earl Grey Tea mini candle and a Ted Baker candle currently on my bedside table. I can't bring myself to burn them as the jars themselves they are in are so beautiful. On the same tray I have placed my rose quartz stone. Rose quartz is seen as the stone of love and is said to help you in your relationships. There is a rose theme going on here right? The smaller trays I picked up help to house some smaller items, like my Marc Jacobs mini watch and my The Body Shop cocoa butter body butter. Again, this has helped me contain smaller items that may have been just strewn around carelessly. 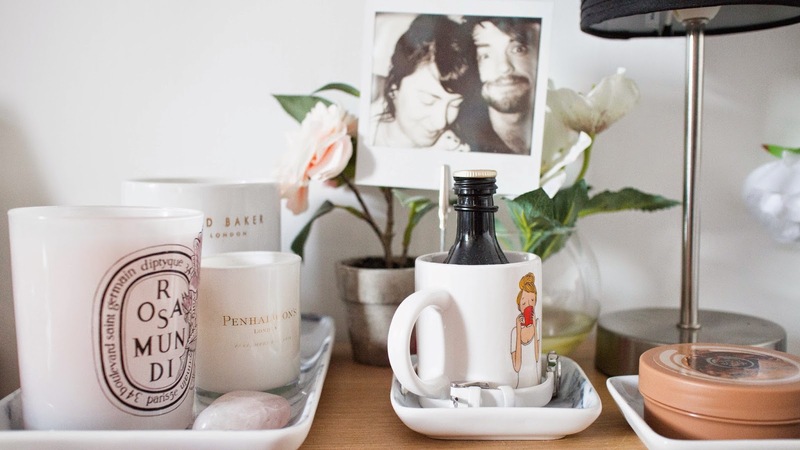 And yes, that is a polaroid of me and my boyfriend nestled amongst some faux flowers. If I didn't have a Polaroid camera, I wouldn't even have a physical picture on my bed side table. It would all be stashed away on a hard drive and never looked at again. The fact I have something tangible and on display means a lot to me, and the picture never fails to put a smile on my face when I catch a glance of it when I wake up, or am blowing out my candles. I truly do recommend having a picture on your bedside table that makes you happy. It does wonders for those Monday morning blues.